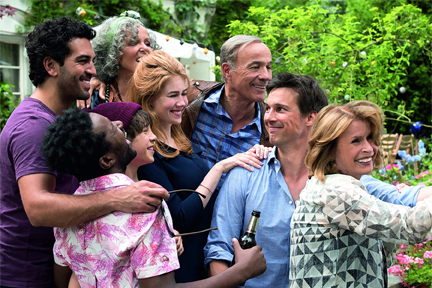 Welcome To Germany directed by Simon Verhoeven (Germany) 2016 will open the Berlin & Beyond Film Festival Friday 9 February 2018 at the Castro Theatre in San Francisco. It takes the issue of immigration head on in a delightful family comedy. Nearly every facet of the difficult situation migrants and residents must work through is explored. What is most refreshing is the spirit of generosity and love that prevails despite some ugly and disturbing incidents. Contact BerlinBeyond.com for more information and tickets. Family relationships can be difficult even in the best of times and adoptions present an added complexity to the situation. Wars disrupt the daily lives of everyone involved and this was especially true during World War II in Central Europe where millions of civilians were targeted for extermination. Holocaust survivors were left with deep psychic scars that affected them throughout their lives. Aida’s Secrets directed by Alon and Shaul Schwarz (Israel/United States/Germany/Canada) 2016 unveils a fascinating trail of secrets and lies. The main part of the story involves the search and meeting for a brother whose very existence was kept secret from an adoptee for over sixty years. But this is only the beginning of a broader investigation to piece together the details of a truly complicated mystery. The film screens again at San Francisco Jewish Film Festival 36 Friday 5 August 2016 at the Piedmont Theatre in Oakland. For more information and tickets check the Jewish Film Institute. copyright © 2016 by N. A. Diaman, all rights reserved. Hummus! The Movie directed by Oren Rosenfeld (USA/Israel) 2015 documents a popular Middle Eastern spread. Chickpeas (garbanzos) and tahini are the basic ingredients for a dish that probably originated in Egypt. But the Lebanese have strong claims to it. It’s increasingly appreciated by people from the three major religious faiths in the area and increasingly enjoyed by a very diverse group of both locals and tourists. Hummus has become an all consuming activity for a widow who took over her late husband’s restaurant, a religious calling for a spiritual seeker, and an adventure for someone unsatisfied with the established business passed on to him by his father. The documentary hops around from one town to another in its quest for the culinary treat. The film will be screened three times during the upcoming San Francisco Jewish Film Festival: Cinéarts, Palo Alto Square Saturday 23 July 2016, Castro Theatre, San Francisco Sunday 24 July 2016, and Piedmont Theatre, Oakland Friday 5 August 2016. Contact Jewish Film Institute for more info and tickets. 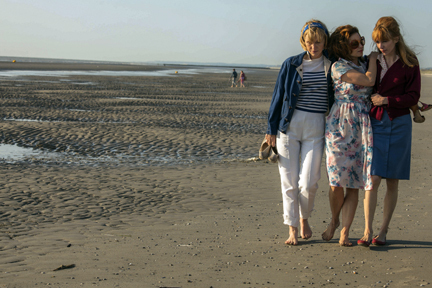 Three Auschwitz survivors meet again in a French beach town in A La Vie directed by Jean-Jacque Zibermann (France) 2014. 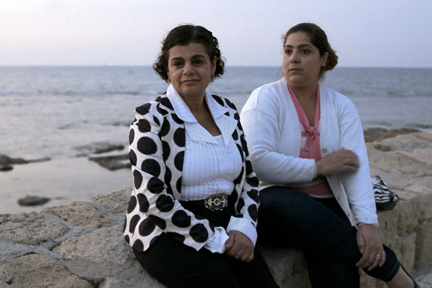 Despite overcoming a horrendous experience the women manage to move forward with their lives. Friendship with one another and the brief leisure time they share allows them to renew a zest for life. The film screens again Friday night 7 August 2015 at the Smith Rafael Film Center in San Rafael and Saturday evening 8 August 2015 at the Lakeside Theatre in Oakland during San Francisco Jewish Film Festival 35. For more information and tickets contact the Jewish Film Institute. copyright © 2015 by N. A. Diaman, all rights reserved. The principal character of Clouds Of Sils Maria, directed by Olivier Assayas (France/Germany/Switzerland) 2014, is ambivalent about her relationship to the play that launched her acting career. She was young and naïve when she began but is now challenged to accept the role of the older, troubled woman in a new production of the same work. Much of the story is set in the majestic Alps. The film was one of the dramatic features screened in the French Cinema Now 2014 mini-festival at the Vogue Theatre in San Francisco. See the San Francisco Film Society web site for more information. 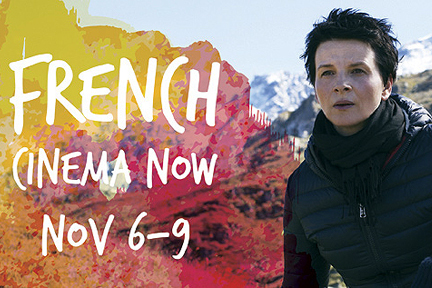 French Cinema Now is a fall mini-festival presented by the San Francisco Film Society. This year’s event will screen a dozen narrative features from France and four other European countries. It opens Thursday night 9 November 2014 with Paris Follies directed by Marc Fitoussi (2014) France and stars Isabelle Huppert and Jean-Pierre Darroussian. The festival venue is the Vogue Theatre on Sacramento Street at Presidio Boulevard in San Francisco. For more information and tickets contact SFFS. 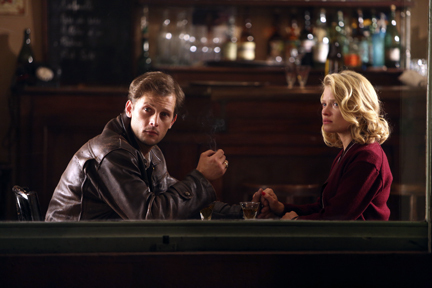 For A Woman directed by Diane Korys (France) 2013 is a stylish telling of her parents’ relationship in postwar Lyon. Home life, politics, and business are part of the mix intensified by passion. The film screens a final time at the Grand Lake Theater Saturday 9 August 2014 during the San Francisco Jewish Film Festival 34. For more information and tickets contact SFJFF.